Chill a lowball glass and set aside. Pour vodka and maple syrup into a stirring glass and stir with cubed ice until cold. 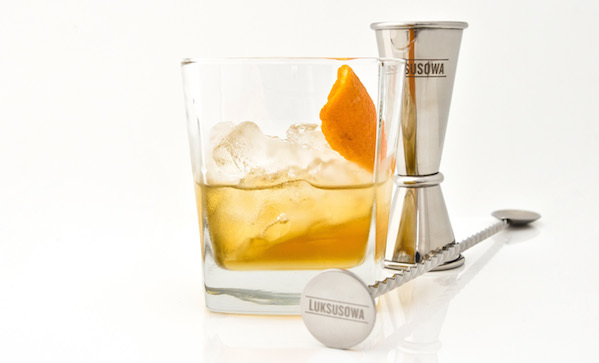 Strain into your lowball glass, zest your orange, and garnish with an orange twist. Pour all ingredients into a mixing container. Using a second container, pour the mix back and forth between the two. Known as “throwing” the drink, this is performed to achieve the proper aeration. Pour into a glass with ice and serve.